then manually set brightness to maximum. Our iCapture Kiosk app is specifically designed for an enclosed, kiosk mode. 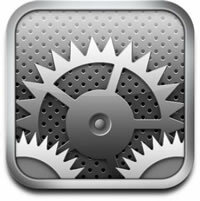 iOS 6 for the iPad added a new feature called “Guided Access”. This allows you to set a passcode to “lock” the Home Button of your iPad and prevent a user from leaving a specified app. If your iPad gets stuck in “Guided Access” mode (like mine did), you have to do a “forced reboot” by pressing and holding the Home Button and Sleep Buttons at the same time for 15 seconds. This will turn off your iPad. Press and hold the Sleep Button to restart your iPad. You can now use your passcode to turn off Guided Access.